PHOTO BY MATT DETURCK The Village of Pittsford will likely strike down a ban on feeding the waterfowl along Schoen Place. The Village of Pittsford has won a few big fights in its time — usually conflicts stemming from its strict building codes. But it has been bested by the ducks and geese that hang out along Schoen Place. 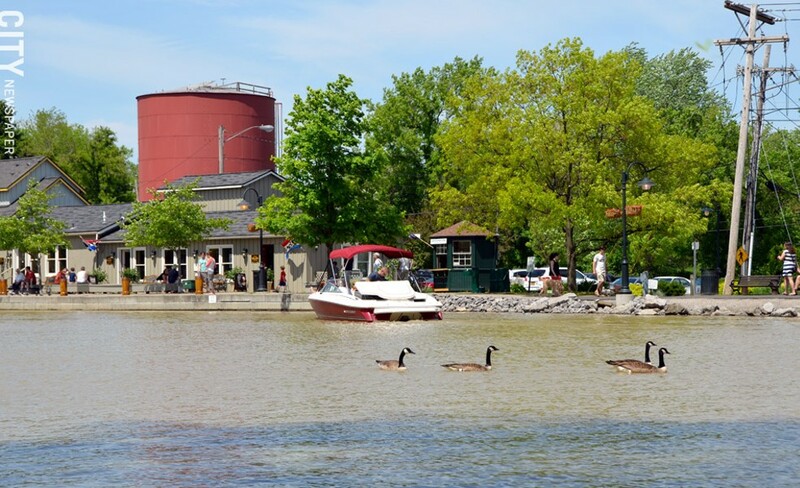 The waterfowl are a fixture of the popular Erie Canal business district, and the public flocks to feed the flocks. But the steady source of food encourages ducks and geese to concentrate in the area and, to be blunt, the birds leave a lot of poop. Visitors often feed bread to the fowl, which only makes the mess worse. The village is in charge of cleaning up the area, and officials have tried for years to discourage the public from feeding the birds. But now, village officials are changing tack. They've started a process to strike a ban on feeding wildlife along Schoen Place, and have scheduled a public hearing on the matter for 7:30 p.m. on Tuesday, November 18, at Village Hall, 21 North Main Street. "The majority of the board felt it was unenforceable," Mayor Bob Corby says of the prohibition. Officials plan to provide the public with information about which foods are appropriate for the birds, Corby says. Mike Wasilco, regional wildlife manager for the Department of Environmental Conservation, says that what people feed the waterfowl can be a problem. Ducks and geese can catch a fatal lung infection from moldy food, he says. And much of what people feed the birds is basically junk food devoid of the nutrients they'd get from their natural diets, he says. Bread is the worst, he says, followed by corn and mixed bird seed. "A pelleted feed providing balanced nutrition is best," Wasilco wrote in an e-mail.